Well that snuck up on me. I was expecting this to take longer for some reason. Looking forward to that dot growing bigger. How fast is New Horizons travelling compared to, say, Voyager? Voyager Mission Status, by NASA says that Voyager 1 is leaving the solar system at a speed of 17.46 km/s. Voyager 1 speed converts to more than 62,000 km/h. Though New Horizons will also reach 100 AU, it will never pass Voyager 1, because Voyager was boosted by multiple gravity assists that make its speed faster than New Horizons will travel. Voyager 1 is escaping the solar system at 17 kilometers per second. When New Horizons reaches that same distance 32 years from now, propelled by a single planetary swingby, it will be moving about 13 kilometers per second. When/if the US Government/NASA shutdown begins, will Alan Stern put the probe on hold? Seriously, will the New Year's Day flyby coverage get cancelled? newolder wrote: When/if the US Government/NASA shutdown begins, will Alan Stern put the probe on hold? Seriously, will the New Year's Day flyby coverage get cancelled? URGENT ! Due to Govt shut-down. NASA TV and social media suspended 4 New Horizons Flyby Jan 1st. Follow @alanstern or @newhorizons2015. Good news that the mission will be mostly unaffected and the post seems to confirm the Brian May tweet below (no NASA coverage). Hopefully, the JHAPL's coverage will be similar. The link to the coverage is given in the link in the quote (in the December 27th update at the top). Here is the direct link as given. And, as stated in a previous post, the light curve is really strange. 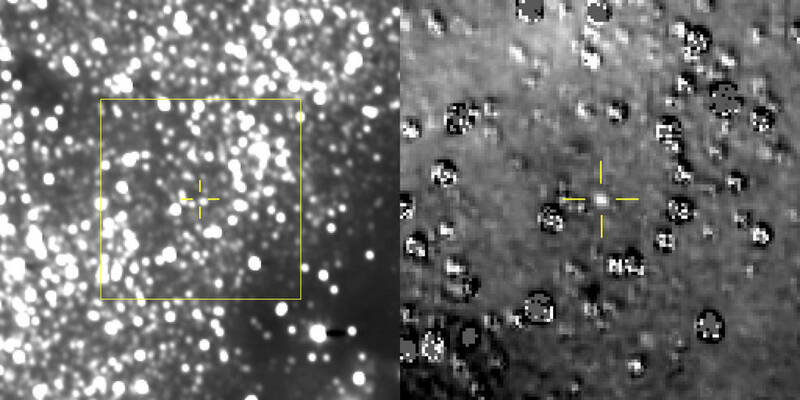 If it is a halo of objects around 2014 MU69, I hope they are flying by well out of range. In an S&T blog by Stern, the all clear has been given at the flyby distance of 3500 km, I hope that they are right, as it wouldn't take much at 32000 km/s. ^I hope the probe is not travelling that fast! It would whip past the 37km wide object in about a millisecond! has the velocity wrt MU69 at 14.43 km/s - that's a good 2 and a half seconds to get pictures & stuff. newolder wrote: ^I hope the probe is not travelling that fast! It would whip past the 37km wide object in about a millisecond! D'oh! Thanks. 32,000 mph per Stern, which agrees closely with your figure of 14.43 km/s. Because of the sheer stupidity of my writing that the probe would be going over 1/10 the speed of light without catching it , I wish the parameters would be reported consistently using SI units (kind of like the date formats in the APOD thread). May be asking too much for blog entries though. Bridenstine says events WILL be broadcast on NASA TV. Yay! New Horizons #UltimaThule Flyby Events (All Times Eastern). New Horizons live events will air on NASA Television. Nasa tv right now is showing a Christian sermon. That was unexpected. I'm not a fan of the song. I was awake for the rendezvous, though of course all we could do at that time was think of how cool it is that a spaceship sent from Earth in 2006 is making a flyby of an object 4 billion miles away in 2019. That's excitement enough, and now the data starts streaming in. I think it's going to take over a year to download it all. ETA All is well. Spacecraft reports good health and it has an expected compliment of data to shovel back to Earth. Press conference at 1630GMT.